Darwin is famous for its many nature parks and if you want to feed the fish by hand, Aquascene is the place to visit. The site features numerous fish species such as catfish, bream, mullet and milk fish. Crocodylus Park and Zoo is another notable attraction in the city and is the best place to know about the Australian crocodiles as well as snakes, birds, turtles, monkeys and big cats. In the city itself Darwin Wharf Precinct which is also known as Stokes Hill Wharf is a popular retreat for workers and holidaymakers alike. Spectacular sunsets, late night dining and live entertainment keep people to the wharf into the night. Darwin Festival defines the intriguing culture of the city in the best possible way. The 18-night festival brings spectacular performances of Australian as well as international artists. The festivals comprises of a variety of events such as dance, films, cabaret, theatre and numerous workshops. Other cultural attractions and events in the city are Deckchair Cinema, Darwin Cup Carnival, Aboriginal Art Awards and Arafura Games. Art lovers booking Darwin flights especially to visit Museum and Art Gallery of the Northern Territory. The museum does not only exhibit arts but also focuses on history, culture and natural sciences. Other worth visiting museums in the city are Australian Aviation Heritage Centre and East Point Military Museum. There are number of the historical buildings that lure history and architecture lovers from around the world. One of the oldest buildings in the city is Government House. Christ Church Cathedral is also popular among the history buffs. 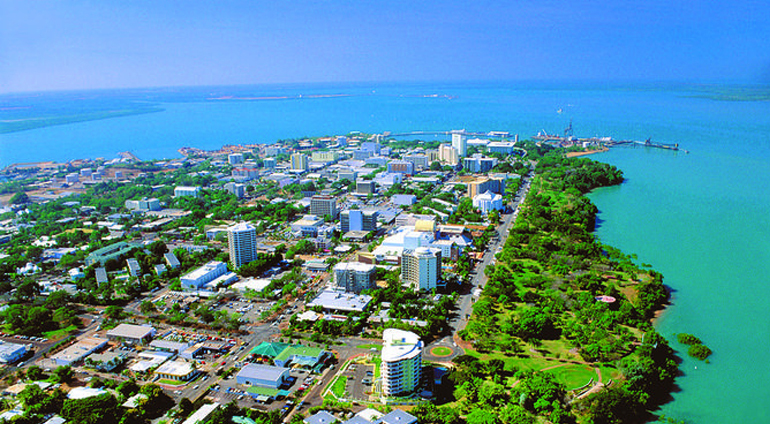 Book flights to Darwin at Globehunters to explore this amazing city. Our specialist travel consultants can assist you on the best available flights or you will be able to seardch and find all the live fares and availability to ensure you get the most from your flight to Darwain. Since we are ATOL and IATA protected you don’t need to worry about financial security while booking cheap flights to Darwin.